Palestinians are welcoming India’s decision to scrap a $500-million deal to buy anti-tank missiles from the Israeli weapons firm Rafael. It appeared to be on course as recently as August when Rafael and India’s Kalyani Group announced a joint venture to open a factory in the southern Indian city of Hyderabad to make the missiles. On Monday, before it was confirmed by Indian sources, Israeli media expressed consternation at the nixing of a deal that had been years in the works. Ishai David, a spokesperson for Rafael, told The Jerusalem Post his company had not been informed of any decision by India not to buy the missiles. “This activity will continue as planned,” he insisted. 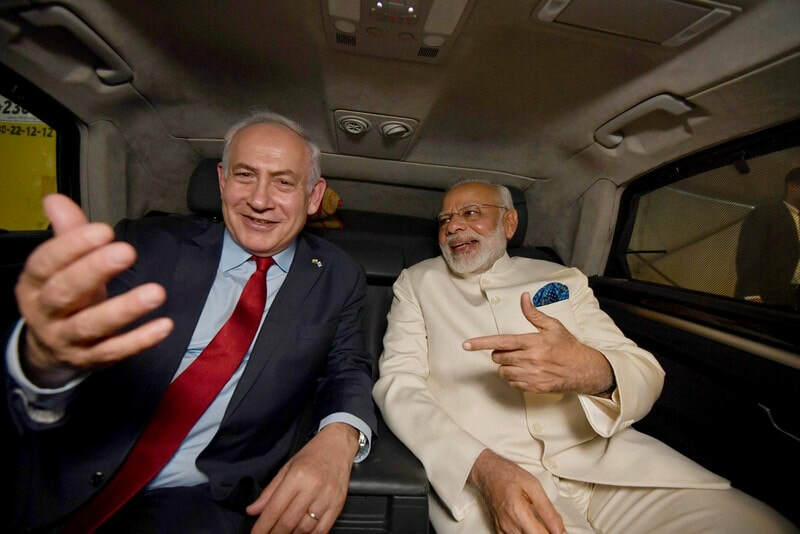 In retrospect, there were already signs of trouble in July when Hindu nationalist Narendra Modi became the first Indian prime minister to visit Israel. Though Israel hailed the visit as an historic warming of ties, contrary to expectations no arms deals were signed including the Rafael deal. What appears to have torpedoed the agreement was the Indian defense ministry’s insistence – overruling other agencies – that the country could develop its own technology and did not need Israel’s. While hailing the cancellation, Palestinians note that India remains one of Israel’s biggest arms customers and the two countries have other military joint ventures in the works. India has also turned to Israel as a model for its brutal repression of resistance to its rule in Kashmir. India’s ascendant Hindu nationalist right has also embraced Zionism and made common cause with Israel, an affinity further cemented by shared, virulent Islamophobia. A big part of Modi’s nationalism is his “Make in India” campaign to promote homegrown industry, and that also seems to have hurt the Rafael deal in spite of ideological affinities with Israel. Scrapping the Rafael purchase could have far-reaching negative effects on economic relations, according to David Keynan, vice-chair of the Federation of Indo-Israeli Chambers of Commerce. “It is a very noteworthy deal. It will have an impact not only on defense trade, but on all trade,” Keynan told The Times of Israel. According to Keynan, weapons sales are often a “catalyst” for further trade. “We hope this is the beginning of the end of Indian complicity in Israel’s egregious violation of international law and Palestinian human rights,” Omar Barghouti, a founder of the boycott, divestment and sanctions (BDS) movement for Palestinian rights, stated. Several Indian firms are bidding for drilling rights in Mediterranean waters claimed by Israel. There are also signs of discontent with the relationship. Last week lawmakers in India’s Telangana state denounced the state government’s plan to send 1,000 public officials on “training” junkets to Israel, wasting public money that could be used to improve the conditions of local farmers. 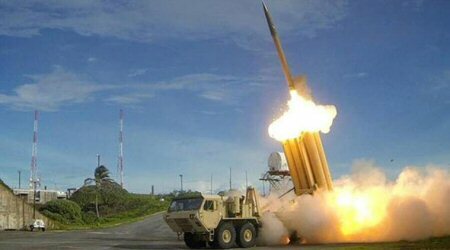 Hyderabad, where the Rafael missile factory was to be located, is Telangana’s state capital. And in October, the All India Kisan Sabha, the largest national organization representing farmers and agricultural workers in India, announced its support for the BDS movement. Yesterday, media reported that the Indian Ministry of Defense scrapped the $500M deal with Israeli arms manufacturer Rafael Advanced Defense Systems for its missile systems. Years in the making, the deal had been celebrated in international media and was finalized after Prime Minister Narendra Modi’s visit to Israel in July. In August, Rafael Advanced Defense Systems and its Indian partner Kalyani Strategic Systems opened a facility in Hyderabad to manufacture the missile systems. The deal was cancelled after India’s state-run Defense Research Development Organisation asserted that India should not import this Israeli technology. India’s decision to scrap this massive arms deal with Israel is a huge blow to the Israeli weapons industry. This $500 million deal would have fueled Israel’s military industry, which is deeply implicated in war crimes against the Palestinian people. It is also a major setback for Israel’s propaganda hubris that its technology is indispensable for India’s development and modernization. As many Indians are recognizing, Israel is marketing military and agricultural technologies in India and trying to cement Indian dependence on Israel. Israel seeks a flow of Indian cash for it’s own profit and to help finance its criminal wars and apartheid regime. India is by far the globe’s biggest importer of Israeli weapons, and Israel is enjoying almost unparalleled influence in the Indian military system. Israel is equipping the Indian army with Israeli guns, the Indian airforce and navy with Israeli airplanes and missiles, and is also providing communication systems and technology in all levels of the Indian military. Over the last two decades, Indo-Israeli military relations have continuously increased despite various corruption scandals and technical failures. We hope this is the beginning of the end of Indian complicity in Israel’s egregious violation of international law and Palestinian human rights. As Palestinians we ask the Indian people to maintain their proud legacy of commitment to independence, to growing local knowledge and to respecting other people’s struggles for self-determination. Israel’s regime of oppression can never be a model for the great Indian nation that once led the non-aligned movement and upheld the right of all nations to self determination and freedom. Israel exports to India what it knows best — technology that represses, militarizes and dispossesses people of their land and water rights. India is better off without that. Last week it was announced that Indian Oil and Natural Gas Corporations are bidding for drilling rights in gas fields claimed by Israel, despite the many controversies linked to territorial disputes in such fields. In August, India’s Adventz group signed a Memorandum of Understanding to develop Israel’s Jerusalem Light Rail [PDF], which serves Israel’s settlements in and around occupied East Jerusalem in violation of international law. As large multinationals increasingly abandon their illegal projects in Israel due to effective BDS pressure, Israel has started dragging India into deals fraught with legal and political problems. Indian companies would be well advised to avoid getting sucked into Israel’s human rights violations as more and more international corporations refuse to get involved in such complicity. VIDEO — Omar Barghouti on BDS: How Effective Is It? 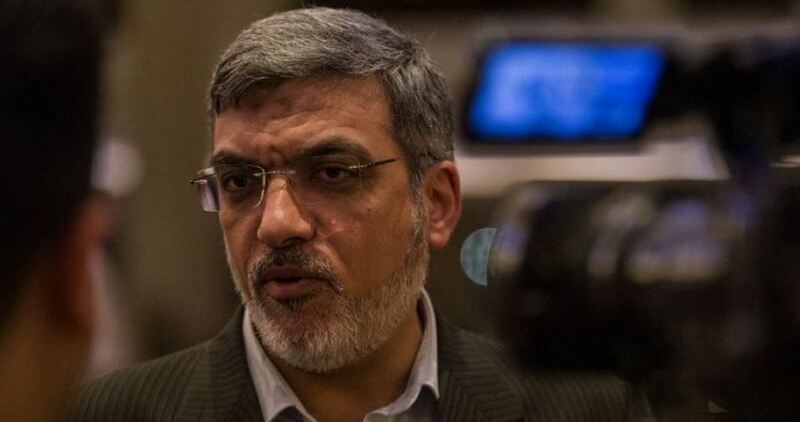 Political bureau member of Hamas, Ezzet Resheq, acclaimed on Saturday evening the anti-normalization conference held in Kuwait, dubbing it a key step to isolate the Israeli occupation and disclose its crimes against the Palestinians. Resheq said the conference is a slap on the face of the Israeli leaders who have left no stone unturned to meddle in the Gulf’s home affairs and spark strife in the region. “Boycotting the Israeli occupation—children’s murderer—is a national and humanitarian duty that the Arab governments and world’s free peoples should take upon their shoulders,” said Resheq. “We hail our Kuwaiti brothers and sisters for hosting the anti-normalization conference. This is a sign of Kuwait’s unyielding pro-Palestine position,” the Hamas leader added. Resheq also thanked the Boycott, Divestment and Sanctions Movement-Gulf (BDS) for staging the conference under the auspices of the Speaker of the National Assembly of Kuwait, Marzouk Al-Ghanim. The so-called “Conference to Resist Normalization” with Israel in the Arab Gulf dovetails the 100th anniversary of the notorious Balfour Declaration. The Israeli authorities on Monday banned the entry of a number of European MPs and French mayors because of their activism in the Boycott, Divestment, Sanctions (BDS) movement. The Hebrew website "0404" reported that Israel's Minister of Interior, Aryeh Deri, adopted recommendations by Israel's Minister of Strategic Affairs and Public Security, Gilad Erdan, not to allow the entry of a delegation composed of European MPs and heads of French local councils. Deri said, according to the website, "This is not the first time we prevent the entry of boycott activists into Israel. This time, however, it is a delegation of European figures coming to act against Israel, and the matter is assuming a different dimension." Erdan stressed that they will never allow entry of these BDS activists especially that they were planning to visit the Palestinian prisoner Marwan al-Barghouthi in Israeli jails. Israel has enacted many laws against its boycotters including a law that allows to sue boycott activists and ask for financial compensations up to 100,000 shekels ($29,000) and 500,000 shekels ($143,000). 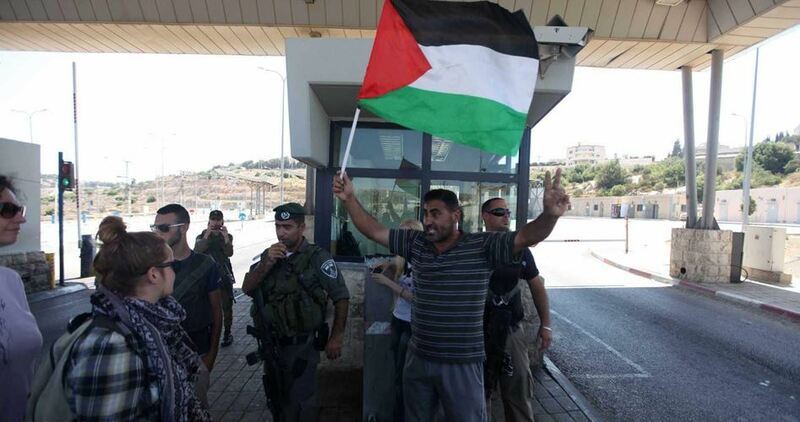 The Israeli authorities have recently barred the entry of dozens of activists and human rights workers because of their solidarity with the Palestinian people. The Israeli government is currently preparing a blacklist of local and international organizations and activists who call for boycotting Israeli institutions, products and events, local media sources revealed yesterday. The list also includes the Boycott, Divestment and Sanctions (BDS) campaign, the world’s most widely spread movement that calls for boycotting Israel. 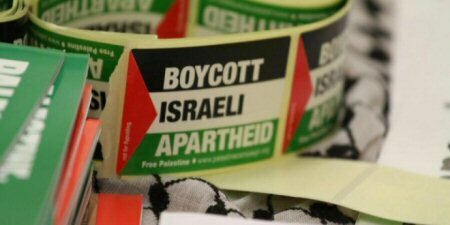 BDS was established in 2005 with the aim to end the international support for Israel’s oppression against the Palestinians and to pressure Israel to comply with international law. 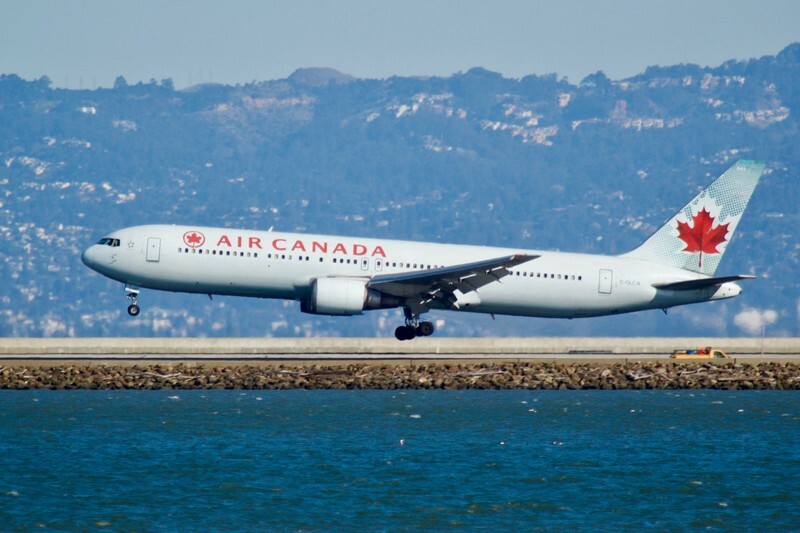 Air Canada’s Boeing 767 aircraft will no longer be maintained by the weapons maker Israel Aerospace Industries. Israel in AustraliaIsraeli weapons firms have been pushing into civil aviation in other countries as well. The Israeli Ministerial Committee for Legislation on Sunday approved a bill that allows to sue Israel's boycotters and ask for financial compensation. The Hebrew TV channel Seven reported that the bill allows the Israelis who find themselves affected by the boycott campaigns to demand financial compensation without proof of damage. The bill is set to be presented to the Knesset for final approval, which means that all left-wing organizations calling for boycotting Israel culturally, academically and economically in the occupied Palestinian territories will be subjected to immediate judicial prosecution. The original law was approved by the Knesset in 2011, but the Israeli Supreme Court overturned the clause related to claiming financial compensation without citing evidence of damage. 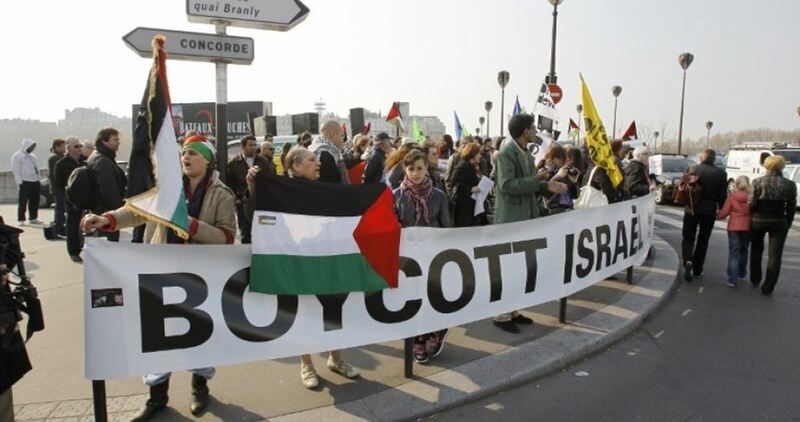 According to the new law, the institutions and bodies that encourage or advocate anti-Israel boycott campaigns will be fined 100,000 shekels ($29,000) if there is no evidence of damage and 500,000 shekels ($150,000) if the evidence is there. 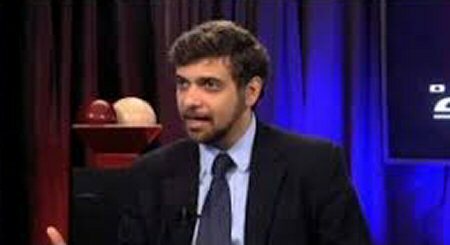 Israeli occupation authorities banned, on Tuesday, the Arab-American activist Raed Jarrar from entering Israel, over his support of the boycott movement against Israel. Jarrar was barred from accessing pre-1948 Palestinian lands in Israel by recommendation of Israeli Minister of Internal Security Golad Erdan. Erdan said that everyone who activates against Israel must recognize that the reality has changed. Jarrar arrived in Gaza and was banned from entering Israeli territory, according to Al Ray Palestinian Media Agency. Jarrar is a blogger and political activist who works in Washington, DC, and the spokesperson for the US-Arab Anti-Discrimination Committee.